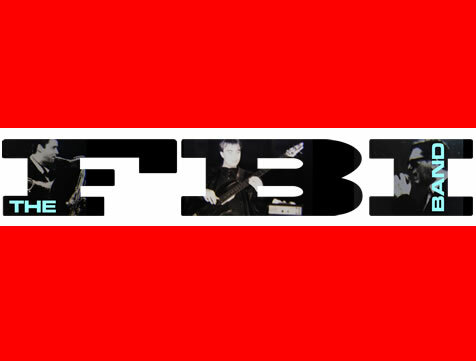 Acclaimed by Time Out magazine as "one of the best good-time bands in town", The FBI perform an outstanding show featuring the coolest classics from Atlantic Soul, Motown and R&B to The Blues Brothers and James Brown. On stage, The RedHornz with Utter Madness needs no introduction - bringing all the classic Madness tracks to audiences around the UK and beyond. Utter Madness, with their line-up of highly skilled musicians, performs totally live, faithfully recreating that heavy, heavy monster sound of the nuttiest band around! The group, spearheaded by the fantastic vocal quality of lead singer Tony James, were given the ultimate seal of approval by Madness star Suggs when he invited the band to perform on his TV show. The bands were also chosen by Suggs to be his backing band for the 'Lone Ranger Tour'! ... plus much, much more. The first and foremost tribute to Madness! 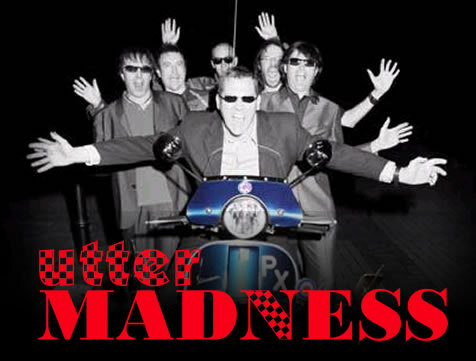 On stage, Utter Madness needs no introduction - bringing all the classic Madness tracks to audiences around the UK and beyond. The group, spearheaded by the fantastic vocal quality of lead singer Tony James, were given the ultimate seal of approval by Madness star Suggs when he invited the band to perform on his TV show. The band was also chosen by Suggs to be his backing band for the 'Lone Ranger Tour'! and it’s the RedHornz with the FBI band ……………. Take care if this musical whirlwind ever pulls into your town! The group that Time Out Magazine called "one of the best good-time bands in town" are ready to grace any function with their own energy-injected, internationally recognised, blues- powered act. The FBI’s unstoppable combination of musical quality and stage presence has meant that the lads never have a Saturday night in! Having shared the stage with top acts like Lulu, Dream, Eternal, China Black and Bjorn Again, these seven slick, super-cool and laid-back musicians offer their unique mix of sweet soul music featuring ice-cold classics from Atlantic Soul, Motown, James Brown, R and B and the Blues Brothers. This superb and inspiring act is headed by enigmatic frontman Tony James and providing a wave of sound for his fantastic vocals are a team of the most professional musicians including lead and bass, brass section, keyboards and drums. The FBI take the music to the people, playing a range of dates from university balls, pubs, clubs, weddings and top corporate functions, including being singled out to perform at Telstar Records' Annual Sales Conference in the Algarve. The FBI is also in demand for European gigs like Man United’s celebration party in Malaga. This band has nothing to prove and they can prove it! Watch the FBI liquefy even the most stolid of crowds into a hungry music mob starving for the beat! FBI is a mixed drink of the classic Motown sound, combined with a dash of old-school & contemporary R&B and 70s dance tunes which shake out into a guaranteed good time! With its sizzling horns, funky rhythm section, strong vocals and smooth vocal harmonies, FBI is known for putting on a lively, passionate, and memorable performance for any event. We cover the legends of Motown to the Fathers of Funk in a way music from that genre was meant to be heard; from the heart, touching and lifting your soul while invoking great memories! Come experience a band that covers some of the most sophisticated, intoxicating and enduring music ever recorded. The FBI’s super-slick musicians are always on the case when it comes to quality and professionalism, offering a magnificent mix of sweet soul music that's guaranteed to fill the dance floor every timeThe FBI is the classic choice to turn any event into a storming success. Make sure The FBI are the first on the scene at your party - anything less would be a crime!